Love texting innuendo? Hate using words? Well, do we have good news for you. Emojipedia has announced that 230 new emojis have been approved by the Unicode Consortium and are coming to your smartphones in 2019. 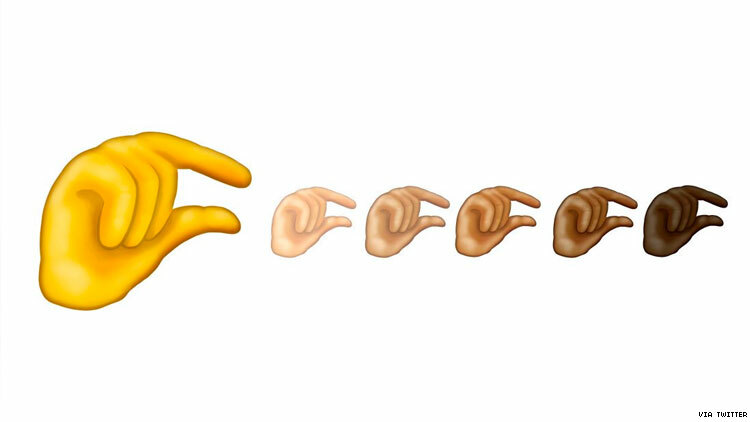 In addition to vital communication tools we never knew we needed like Flamingo, Yawn Face, and Waffle, we're also getting this cute little pinching-hand emoji! New emoji have been finalized for release later this year. This is the new "pinching hand" emoji. Yeeeah, we don't want to speak too soon, but it's starting to look like the Eggplant Emoji has met its match. yep also if you tap twice (tips of index and thumb) on your front chin with palm facing yourself, it’ll mean gay. The new emoji rollout also includes a bunch of new couples of different genders and ethnicities holding hands, as well as an otter, a pair of underpants, a stick of butter and an ice cube. The vaguely inappropriate possibilities are endless.